Rising in the number of partnerships and collaborations in the market is expected to accelerate the growth of digital therapeutics market from 2018 to 2025. In recent years, digital therapeutics market has progressed significantly. The global market for digital therapeutics is anticipated to grow from US$ 1,993.2 Mn in 2017 to US$ 8,941.1 Mn by 2025 at a CAGR of 20.8%. The rising pressure on healthcare providers to reduce healthcare costs, the rising prevalence of chronic diseases and rising in the number of partnerships and collaborations in the market are the major factors anticipated to propel the growth for the digital therapeutics market. However, the increasing rate of cyber threat and the rise in data security issues is expected to act as major challenges hindering the market growth. The digital therapeutics market has been witnessing rapid acceptance by employers as well as insurance providers during the recent years, owing to the benefits being offered by it. In support, there have been various significant collaborations and partnerships in the market, which have fuelled the growth of digital therapeutics market. The market has been largely marked by the presence of small players, however, during recent years large companies have begun to take interest in this space. For instance, in June 2018, Cigna entered a collaboration with Omada Health, to add the latter’s suite of health improvement services. Moreover, in May 2018, DTA and USP, a nonprofit organization, headquartered in Rockville, MD, announced a collaboration to explore the development of appropriate standards and guidelines for digital therapeutics. 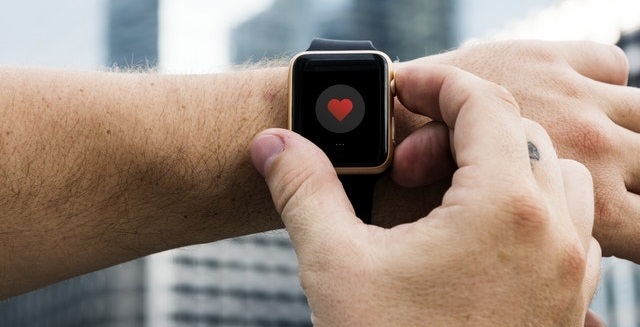 In October 2018, DTA expanded its European membership by announcing that S3 Connected Health is joining the industry body. Therefore, the digital therapeutics market is anticipated to grow due to rising in the number of partnerships and collaborations in the forecast period. The global digital therapeutics market is highly competitive due to the presence of large numbers of players which is attributed to the easy market entry and high-profit margins in the market. Some of the prominent players in this market are thus indulged into adoption of organic growth strategies such as innovative product launches and product approvals. For instance, in June 2018, Canary Health received CDC’s prestigious full recognition status for its DPP program for Virtual Lifestyle Management (VLM) service. The rising advancement in the field of the healthcare industry is driving the prominent players in this market for more research & developments for the digital therapeutics market. The key players in the market such as Livongo Health, Fitbit, Inc. and Omada Health, Inc. that is provide a vast spectrum of expertise in medical healthcare. The players operating in the global digital therapeutics market include Propeller Health, CANARY HEALTH, Noom, Inc., 2Morrow Inc., Livongo Health, Proteus Digital Health, WellDoc, Inc., Fitbit, Inc., Omada Health, Inc., and MANGO HEALTH and among others.